Ticket to Ride is a family-oriented board game for 2 to 5 players that is the first entry in the well-populated Ticket to Ride series. The game has gameplay features including card drafting, set collection and network building. The goal of each player is to earn the most victory points by building train routes. Victory points are primarily awarded for completing routes between cities, which result in rewards based on the length of the completed route. Routes are most often completed in the service of Destination Tickets, which award players extra points for ultimately connecting two cities on the board. Finally, the player with the longest continuous route also scores a unique bonus at the end of the game. Players start the game with a few Train Car cards and Destination Tickets, plastic trains in their chosen color, and a scoring marker. During each player’s turn, they may draw cards from the Train Car tableau, draw additional Destination Tickets, or claim a route by expending Train Car cards from their hand that match the color of the route and placing their trains along the chosen route. Gray routes can be claimed with Train Car cards of any single color, and some Train Car cards are Locomotives, which act as wild cards. Once one player’s train stock gets down to 2 or less, everyone takes a final turn and then tabulates their scores by adding their claimed route points, completed Destination Tickets, and the Longest Route bonus, if applicable, and then subtracting points for incomplete Destination Tickets. The player with the most points wins. The game comes with a beautiful and functional board, plastic trains and wooden scoring tokens for each of the 5 player colors, and cards for the Train Cars and Destination Tickets. Everything is of good quality, and there are extra trains in case a few get lost or destroyed. However, the base game uses small European-sized cards for the Train Cards and Destination Tickets, which makes them difficult to reliably shuffle. Days of Wonder put out a small expansion to fix this, but the presence of the small cards included by default is worth noting. The theme is of 1900s-era America, and although this is well-represented in the art, components and graphic design, the game mechanics really boil down to just collecting sets of differently-colored cards, so theme is not a primary driver in this game. This game is very easy to learn and teach, even for people new to board games or those familiar with Monopoly or its ilk. Mastery of the concepts, which is largely derived by developing a sense of timing as to when to claim routes, will take a few plays and is achievable by players of any experience level. There is no direct conflict and no built-in player interaction. Players may indirectly conflict with each other by claiming routes that block the plans of others, but this happens more often by chance than via careful strategic planning. Setup is very easy and can be done in less than 5 minutes, even for new players. Gameplay typically takes 30-60 minutes depending on the number of players. Each turn is relatively short, and the simplicity of the game generally prevents analysis paralysis (AP), even for new players. Since the only way to complete routes is by playing Train Car card sets of a matching color, and what routes are needed is dictated by each player’s Destination Tickets, the random nature of the Train Car tableau and draw deck can severely limit a player’s chances to complete the required routes. Although this is construed to be a critical weak point of the game by its detractors, the random nature of the draws is actually more of a balancing mechanic meant to give younger or less experienced players a chance to win against adults or experienced players, respectively. The game has a quick pace, even with new players, and it is fun experience for gamers of all levels and ages, as evidenced by its extraordinary popularity. Though there is a strong random element to the game, the game mechanics are very simple, making replay value low for players needing depth but good for players who enjoy the quick pace and fun play. Although not part of the scope of this review, there are numerous expansions for the game which add variety in tickets, mechanics and game play modes that will help keep the game fresh. This game is good for gamers of varying ages and levels of experience, and it is particularly good for families, as it is one of the best board gaming hobby gateway games available. Gamers requiring strategic depth or less reliance on luck in their games might want to avoid this. Ticket to Ride is one of my favorite games of all time, and I own it and a number of its expansions in Xbox Live, iPad, iPhone and physical formats. I recognize that the gameplay is relatively shallow, but it is the simplicity and elegance of the game’s mechanics that makes me feel it to be one of the best, if not the best, board gaming gateway game to introduce potential new players to the hobby. So, whether you want to introduce your family to board games or a palate cleanser between brain burners on board game night, I suggest you give Ticket to Ride a try. Ascension: Return of the Fallen is the first expansion to Ascension: Chronicle of the Godslayer that can be played with or without the base set. It offers new cards, a new mechanic, and an expanded range of players. The expansion adds 120 new cards, 65 of which are new center row cards and the remainder allowing for additional players. Many of the new center row cards have unique and/or powerful effects that offer new strategies or interesting effects. There are also now several more ways to banish unwanted cards. As a side note, the new center row cards now have an expansion symbol on the bottom right with a rarity symbol to indicate how many times that card appears in the set, which could help when deciding what card to defeat or acquire. The expansion introduces a new mechanic called Fate that causes a typically beneficial effect when it is placed into the center row. This mechanic is present on only a few of the cards in the set, so it is a relatively minor addition. When played with the base set, Ascension: Return of the Fallen expands the maximum suggested player count to 6, but it can also be played on its own with a maximum of 2 players. The expansion also includes rules to play solitaire as well as rules for team-based play. The set has 120 cards and 40 plastic Honor tokens. The 40 plastic Honor tokens are of the same kind and quality as those in the base set, and, together with the 55 reprints, they make up the extra components necessary for expanding the game to 5 or 6 players. Where the components falter is card quality. The stock is noticeably thinner and weaker than the kind used for the base set, so card sleeves are advisable for frequent players. As far as theme goes, the art remains as stylistic as it was in the base set, so I do not feel that it makes any inroads to improving the game’s theme. Where I feel that the theme benefits is in the new faction cards, which add more options that further differentiate each individual faction, which include making a Mechana Construct strategy far more feasible. Other than for the Mechana Constructs, the set makes no effort to create combos between the cards of each faction, so diversification remains the most effective strategy. I enjoy this expansion and feel it improves on the base game in a number of important ways. The new cards fix the variety problems I used to encounter, and they add strategies and unique effects that breathe new life into the game. In addition to the new cards, the expansion to a maximum of 6 players, as well as the team and solitaire variants, undeniably adds further value. The card stock issue did not really impact me since I already sleeve my deckbuilding game cards, but it is something to keep in mind if you do not currently sleeve your cards. All that said, the bottom line is that if you like Ascension: Chronicle of the Godslayer, you will definitely enjoy this expansion. Ascension: Chronicle of the Godslayer is a light deckbuilding game in a fantasy setting for 2-4 players. The game is similar to Dominion but with a heavier reliance on random card draws. The goal of the game is to possess the most victory points, called Honor, at the end of the game through best utilizing the two currencies of the game – Runes, for purchasing heroes and constructs, and Power, for defeating monsters. Heroes provide immediate bonuses when played, while constructs remain in play and offer constant bonuses or actions, though both provide Honor at the end of the game. Monsters provide instant Honor in the form of physical tokens, as well as typically providing a one-time bonus after their defeat. Runes can be spent or monsters defeated from either a fixed set of weaker cards or the 6-card center row, which changes immediately as cards are removed from it. Each player begins with a deck of eight Apprentices, which supply Runes, and two Militia, which supply Power. Each player can make as many purchases or defeat as many monsters as their current hand will allow, and they may do so in any order. At the end of each turn, any unused Power and Runes are wasted, and all heroes or unplayed constructs (those not already in play) are discarded. A new hand is drawn, and the discard pile is shuffled and placed as the player’s draw pile when their prior draw pile has been exhausted. This continues until both all Honor tokens are distributed and all players have had an equal amount of turns. The game comes with 200 cards, 50 plastic Honor tokens and 1 game board. The game board is nice and functional, though entirely unnecessary. The Honor tokens are of good quality and make it easy for other players to quickly tally any other player’s Honor token total. The cards are of fair quality, but the black borders will show wear quickly upon repeated plays, so sleeves would be suggested for frequent players if appearance is a priority. Although this may seem strange for a game with fantasy artwork on every card, this game’s theme seems very thin. The artwork is heavily stylized, especially when compared with other deckbuilders like Dominion, and, thusly, detracts from the theme, in my opinion. The spending of Runes or Power feels like purchasing cards in Dominion. Where the theme shows most is in the individual factions, which each have unique bonuses their cards provide. However, the low number of cards and random drawing of them results in a lack of synergism for the majority of these cards to such a degree that mixing and matching the effects is typically the best course-of-action. This game is easy to learn and teach, especially so for players familiar with Dominion, and even the most casual players should pick up the rhythm of the game after only a few turns. Mastery of the concepts, which generally comes from simply knowing the cards, will take a few plays and is achievable by players of any experience level. There is no direct conflict and little player interaction other than the bonuses awarded when certain monsters are defeated. Since there are no reaction cards, players simply suffer the penalties of the bonuses from monsters defeated by others and are rarely permanently impacted by those consequences. Gameplay typically takes 30-45 minutes, though new player games may take longer due to them being unacquainted with the text of the cards. Each turn is relatively short, and though the simplicity of the game generally prevents analysis paralysis (AP), the random nature of the center row can lead players with AP tendencies to grind the game to a halt. Since every card in the center row is undeniably better than anything in the starting deck or the fixed piles, the random draw of the cards is a major determining factor in victory, especially so with higher player counts where cards change out several times between each player’s turn. A monster-heavy center row can force players into purchasing Power-granting cards en masse, but that row may be emptied of monsters by the time a given player can actually draw those purchased cards. The game’s strategy lies primarily in what to purchase or defeat and when to do so – whether for your own immediate benefit or to block an opponent – as well as ordering those actions for optimal effect. The speed of play and light nature of the game make this a fun filler game perfect for biding time between games, though its lightness and randomness does not make it a good main event. Although this game is highly randomized, the extremely low number of cards in the base set results in variety problems. Whereas the Dominion base set has 500 cards, 252 of which can make up the randomized starting tableau, Ascension has only 200, of which only 100, many of which are not unique, make up the center row. This, as well as the simplicity of the gameplay, leads to the aforementioned variety problems after repeated plays. Although not part of the scope of this review, there are two expansions available that add a number of new cards and a few new mechanics, as well as several available promos, which add significantly more variety. This game is good for most gamers who want a light filler game or who enjoy deckbuilding games, and it seems to appeal to many CCG gamers, as well. I would not suggest this game for those gamers who prefer heavier fare with less reliance on luck. Overall, I find Ascension fun, and it, combined with the other expansions, has recently become the most played game amongst my playgroups due to its quick play time and light feel. I do admit to liking Dominion quite a bit more, but Ascension has a well-established place in my playgroups and could have the same in yours, as well, if you do not go into it expecting a Dominion slayer. Ghost Stories is a medium-weight cooperative game for 1-4 players in which the players take the role of Taoist monks defending a village from the minions of Wu-Feng. The monks can request aid from the various villagers and use their own special powers to help exorcise the ghosts and, ultimately, the incarnations of Wu-Feng himself before the village is overrun and Wu-Feng is resurrected. Ghost Stories is a difficult game to sum up briefly, so this summary is intended only as a general overview for review purposes and not an exhaustive breakdown of the game. The village is created by shuffling the village tiles and randomly placing them into a square. The ghost deck is shuffled, as are the incarnations, which are much tougher than normal ghosts, and a number of incarnations appropriate to the number of players and the difficulty level are seeded into the shuffled ghost deck at fixed intervals. 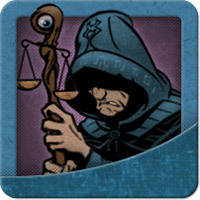 Players choose a monk and one of two abilities, and then receive a number of various tokens appropriate for the difficulty level of the game. At the start of a typical turn, a ghost is drawn and placed on one of the player boards in accordance with its color. Some ghosts perform certain abilities upon arrival, and some do so at the start of each turn of the board on which they were placed. Each monk is then able to move and either request help from a villager, which can provide them benefits like extra Tao tokens or removing a ghost from play, or attempt to exorcise one or more ghosts adjacent to their current village tile. Ghosts have a strength called resistance, and a ghost can be exorcised by equaling the ghost’s resistance through some combination of rolling the ghost’s color on Tao dice, spending Tao tokens or leveraging certain abilities gained from village tiles. Although there are plenty of other options, these are the basics. The players win by exorcising all incarnations of Wu-Feng before 3 village tiles become haunted (a special ghost ability), the ghost deck is exhausted with an incarnation in play, or all monks perish. Victory requires constant management of the ghosts and their effects through teamwork and optimal use of special abilities, village tiles and special tokens. The production quality of the game is superb. It comes with a number of detailed plastic figures, ghost cards, and sturdy tokens, tiles and player boards, all adorned with fantastic and thematic art. The ghost card material is the weakest point, being less sturdy than a Dominion card and possessing black edges that tend to show any wear clearly. The cards are shuffled only once per game, so it will only be an issue for frequent players of the game, who can easily sleeve the cards. There is also a beautiful full color rulebook and reference sheet included. This game is dripping with a Chinese ghost story theme, represented in not only the artwork and figures, but also naming, terminology and abilities. This game has a sharp learning curve, largely due to the heavy use of terminology and symbology, the variety of possible actions and its overall uniqueness. The rule book, although beautiful and full of information, does not succeed at explaining what is a relatively simple base rule set. For example, the 1-3 player setup rules are separate from the primary setup section, which focuses on 4 player setup and does not reference where to find setup for other player configurations. A turn walkthrough or a few more visual rules examples would have helped to clarify some of the concepts. I feel that the game is best learned from someone familiar with it or playing the solo game prior to attempting to teach others. Ghost Stories is a difficult game, even at the lowest difficulty levels. Mastery of the concepts will take multiple plays depending on player experience and is not easy to achieve. There is no conflict between players built into the game, so this game will appeal to players who do not like conflict. However, like all cooperative games, one or more dominant players can attempt to dictate the moves of others, which could affect the enjoyment of the other players. Setup is relatively easy and will take 10-15 minutes for inexperienced players and considerably less for repeat players, as although the 1, 2 and 3 player rules are disjointed from the 4 player rules, setup of the environment is clearly spelled out in the rule book. Gameplay typically takes 45-60 minutes. Each turn is relatively short, which eliminates long delays between turns, especially when each player can always be involved in planning. Gameplay is fully cooperative, but, unlike most cooperative games, individual players can be removed from the game due to the death of their monk. Players still in the game can resurrect fallen monks, but, depending on the current game state, this may not be possible. However, even if a player is no longer in the game, if the active players triumph, the ousted players share in the victory. Regardless, this means that individual players could sit idle for indeterminate amounts of time during the game. Players can choose their monks and their special powers, but every other element of the setup is random and subject to poor draws like other cooperative games. Since most exorcisms will be accomplished by rolling the Tao dice, repeated poor rolls can also contribute to ultimate defeat. The multitude of available actions does allow players to reduce the impact of luck, so luck is balanced well when players take full advantage of their options. Perhaps due to mixture of challenge and theme, the game is a lot of fun even when it is lost. Players cheer for victories and bemoan defeats in equal measure. Nearly every element of the game is randomized. With four difficulty levels, variable player powers and a varied selection of incarnations, even frequent players should constantly find challenge and replayability. The ability to play the game solo is also a huge benefit and makes for an excellent way to learn the game. Although not part of the scope of this review, there are two expansions available that significantly modify the flow of the base game, as well as several available promos to add more variety. This game is perfect for casual and experienced gamers who enjoy a challenge or to those who enjoy cooperative games. I would not suggest this game for non-gamers or those new to cooperative games, as the steep learning curve and the fact that most groups will lose more than they succeed may turn off these players. Players who do not enjoy a significant luck factor in their games or who do not like losing will probably want to pass. Overall, I find Ghost Stories to be an extremely fun, theme-heavy and well-designed game that I can play even after a tough loss. It is a great game and one that will continue to see plenty of play in my gaming circles for a long time to come. Forbidden Island is a light cooperative game for 2-4 players in which the players take the role of a team of adventurers attempting to collect the hidden treasures of the island and then escape with the treasures before the island sinks. The game is similar to another popular cooperative game by the same designer called Pandemic, though it possesses a lighter theme and rule set designed to make the game appeal to a wider audience. Especially when considering the very low price point, the components are excellent and contained in an attractive tin. The game board tiles have beautiful depictions of each location and are made from thick cardboard. There are molded plastic figurines of each treasure and a nice cardboard water level marker with a plastic guide. The Adventurer, Treasure and Flood cards are the same consistency as the average deck of playing cards and can be easily sleeved if one is concerned about wear over multiple plays. The theme is light but very well represented in the game mechanics, artwork, actions and cards. You do get the feel of being on a sinking island and feeling the stress of revising your plans as parts of the island sink into the ocean. The game is designed for players aged 10 and up, so the rules are fairly simple to learn for even non-gamers. Most players will catch onto the rules in 5-10 minutes. Regarding mastering rules and tactics, due to the simplicity of the rules, frequent players will quickly become more adept at the game after only a few games. There is no conflict between players built into the game, so this game will appeal to more casual players who do not like conflict. However, like all cooperative games, one or more dominant players can attempt to dictate the moves of others, which could affect the enjoyment of the other players. Setup is very simple and will take less than 5 minutes for even inexperienced players, as the instructions are clear and concise. Gameplay generally takes about thirty minutes, so even failures (whether as a result of random card draws or poor decisions) can be quickly forgotten in favor of another game, especially because setup is so fast. Each turn is very quick, so there are no long delays between an individual player’s turns, especially when each player can always be involved in planning. Since gameplay is fully cooperative and there is no player elimination, either all players succeed or all fail, which means that no one will ever need to sit idle while others finish the game. Using the game’s default rules, everything in this game is randomized, so luck is a significant contributor. Luck is more of a factor in this game than in Pandemic, as the flood cards are shuffled in with the treasure cards at the very beginning and after every reshuffle, whereas Pandemic spaces out the epidemic cards in a more managed fashion by dividing them amongst equally split piles of the starting player deck. As such, a game can technically end after the very first player’s turn with the wrong mixture of cards, tiles and starting locations. A player’s turns involve mitigating risk by balancing which tiles should be shored up, which tiles can be ignored, and managing their hand, so poor decision-making or excessive risk-taking can definitely result in a game loss. As previously mentioned, every element of the game is randomized, so you will never play the same game twice. There are also official board layout variants on the web that can further increase replay value. This can be enjoyed by families, non-gamers, casual gamers and even board game hobbyists, though it is targeted primarily to families, non-gamers and casual gamers due to its approachable rules and light theme. For hobbyists and gamers in need of more complexity or a heavier theme, other cooperative games in the same vein, such as Pandemic and Defenders of the Realm, would be better options, though Forbidden Island does work well as a filler game. Overall, I find Forbidden Island a fun and light game that I feel comfortable bringing into a wide variety of playgroups, especially with family or casual players. Since my playgroups tend to be into deeper and more complex games, I would generally go to Pandemic, Defenders of the Realm or Ghost Stories for cooperative play, but Forbidden Island will still always have a respected place in my collection. One strategy to winning is being as honest as possible while maintaining a healthy suspicion. Your main focus should be on 2-3 legal good types, preferably ones others are not also focusing on, with the goal of being King in at least one of them and Queen in the others. Do not be afraid to discard freely in an attempt to gather large batches of identical legal goods. Alternatively, if you have scared away the attentions of the sheriff or play with timid or careful players, you can sneak through one contraband load near the end of the game after having established a consistent history of duping the sheriff into raiding your legal goods previously. If you do this, maintain the same behaviors you do to keep suspicions up so that your approach does not suddenly change when you try to pass through a load of crossbows and silk. If you get away with it, the simple act of placing those cards in your contraband area will be enough to stoke the fires of suspicion again, so it is advisable that you proceed honestly for the rest of the game. My group got in games of Cthulhu Wars, Codenames, Zombicide: Black Plague, Ninjato, and the Tokaido Collector’s Edition. Overall, it was a pretty great Tabletop Day for us! My group got in games of Coup, Archipelago and Terra Mystica, and I was able to get in a solo game of Thunderstone Advance: Numera later over the weekend. I introduced Tzolk’in: The Mayan Calendar to my gaming group, and, luckily, they loved it. We got in two plays of it plus a game of Plunder. We finally got Caylus to the table, and the group really enjoyed it, so it is definitely becoming part of our gaming rotation. We also got in a quick game of San Juan. In addition to a healthy dose of Wii-U, we got in games of Ugg-Tect, Ca$h ‘n Guns, Time’s Up! Deluxe, and Coup, and we capped the night off with a game of Cards Against Humanity that included both expansions and the holiday pack. All in all, a good time! We were able to get in games of Alien Frontiers with the Factions expansion as well as Eclipse. My group had played Alien Frontiers so much that the game had become very “samey” for us, but the Factions expansion adds multiple dimensions to trick up play and is well worth the money if you love AF. We played King of Tokyo and two hilarious plays of Ca$h ‘N Gun$. On a related note, I would love to see Ca$h ‘N Gun$ on the site, as it is a great game! We played Risk 2210 A.D., gave Apostate a beat down in Sentinels of the Multiverse, played Cards Against Humanity with both expansions, and capped off the night with a game of Ninjato. Plenty of fun and variety were had! I got in a game of Elder Sign and will probably be able to play The Lord of the Rings: Nazgul and hopefully also Ninjato tomorrow. Although I certainly played the occasional board game previously, I consider myself to have formally entered the board gaming hobby relatively recently. I play cooperative, deck-building and worker placement games more frequently than other genres, but I try to branch out and play new games as often as I am able.